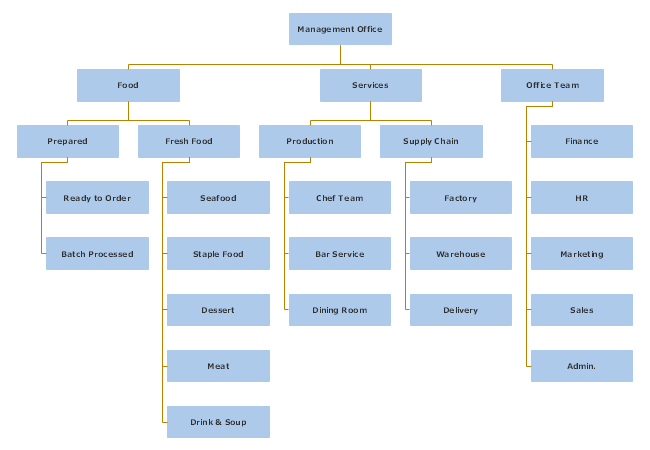 If you want to set up a small restaurant for various food categories, you should check out this org chart example for the normal structure. Staffs like servers, hosts, bartenders and chefs are important to your business. 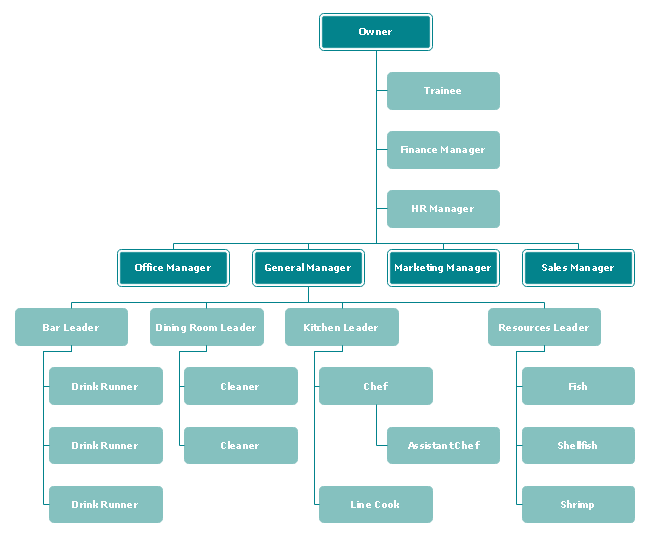 This organizational chart displays more roles than the first example above. A dining room leader and a line cook are included for the increasing scale of your business. Moreover, you may also hire a human resource manager to further welcome new talents. Everyone loves Michelin restaurants, especially those 3-stars ones. 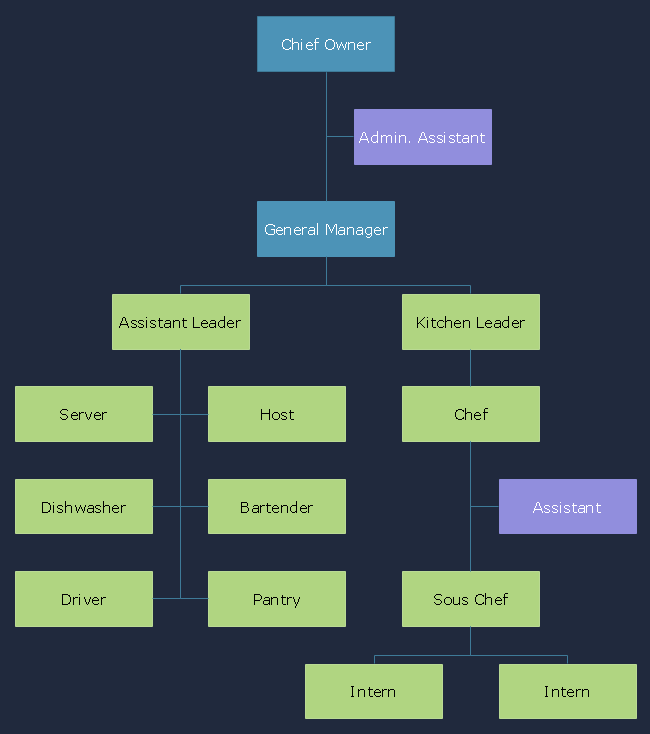 If you aim is to successfully operate a Michelin restaurant, then you should use this org chart example for more of the delivery and food service management. If you live nearby the sea, you may think out some great ideas to open a seafood restaurant just based on the organizational structure as below. You can set different production and service lines for fish, shrimp and more. Imagine that you are the CEO of a global restaurant enterprise, what kinds of talents should you hire to keep your leading role? 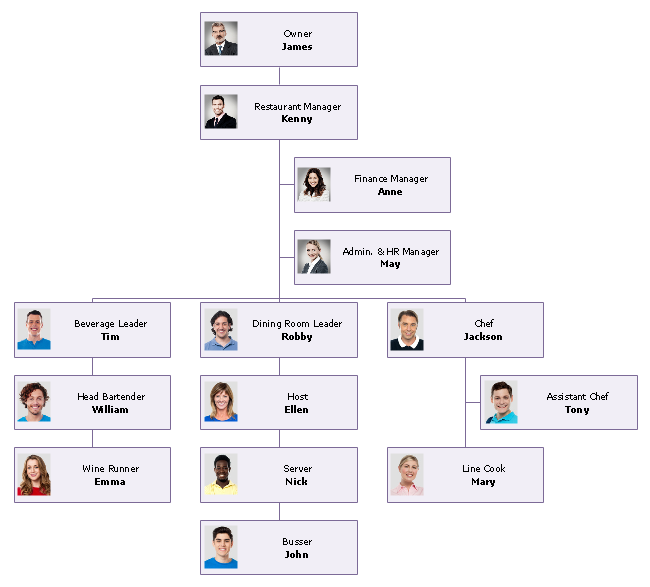 Let this international restaurant organizational chart example offers you the answer. 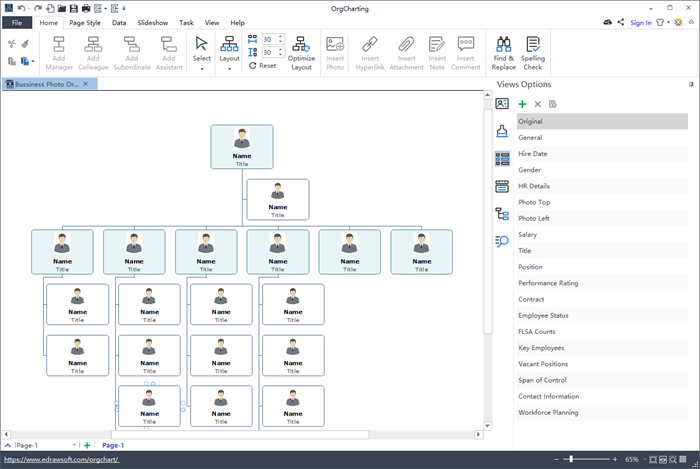 How to Create an Organizational Chart Easily? The overall process is simply and quick by using this easy and innovative org charting software that has many advanced human resource management features and display options. You can also conveniently import or export your data files to the software. Have a try by clicking the free download button below.